M 682 x 1000px 2 Mb. L 1364 x 2000px 8 Mb. XL 3000 x 4399px 15 Mb. 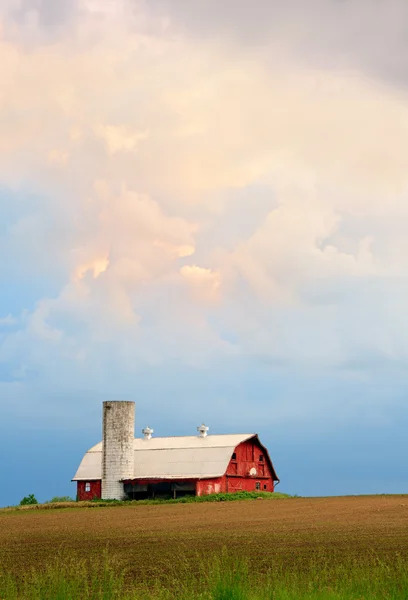 A dramatic sunset sky hangs over a red barn with silo and basketball hoop in the Midwestern United States.